Dr. Dayton Campbell, Opposition Spokesman on Health, is raking Health Minister, Dr. Christopher Tufton, over the coals for what he says is the worsening condition of the Cornwall Regional Hospital, citing that the Minister is using a public relations campaign to cover up the situation. “As it relates to the Cornwall Regional, public relations have been allowed to take the place of hard work,” he said. 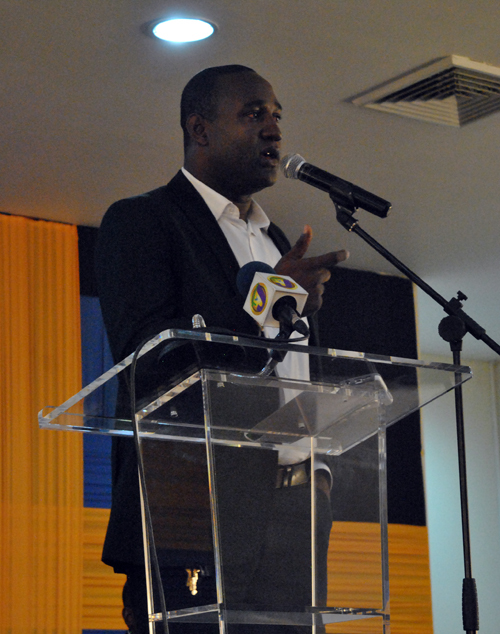 Dr. Campbell, who was speaking at a People’s National Party Town Hall Discussion at the Montego Bay Cultural Centre on Thursday evening, says while healthcare delivery at the Cornwall Regional Hospital is rapidly falling apart, Minister Tufton is busy operating like the owner of a gym, leaving the pertinent issues behind (a reference to the Jamaica Moves campaign). He says the issue, which forced the scaling down and outsourcing of services, still persists as in recent times, doctors and nurses and other workers are still fainting from fumes at the hospital. “When you go to the Cornwall Regional, there are a number of issues. There is an increased waiting time coupled with a lack of adequate bed space. People go the facility, they are admitted and are seated on chairs with drips in their hands, while some are treated on the floor and some are doing this for days. So it is acceptable for a Minister of Health to operate as if he is the proprietor of a local gym. He also needs to take a run to the healthcare facilities and implement measures to improve service delivery so that persons who are coming to these facilities can do so in a decent way,” Dr. Campbell points out. He said there is a major issue with the X-ray machine and CT- Scan machines as they are not working to full capacity – which means that every patient who requires an x-ray or CT scan have to be sent to a private facility, which attracts a major cost to the individual”, Dr. Campbell explained. The Shadow Minister on Health said the situation is made worse as the hospital is operating without an Intensive Care Unit, citing that patients have to be sent to the Falmouth Hospital. He further argued that the Noel Homes Hospital in Lucea and the Savanna-la -Mar Hospital in Westmoreland are now overburdened with the limited supplies that they have. “As it relates to the support given to the other hospitals in the region, you cannot downgrade the service at the main facility (CRH) and refer the patient to Falmouth or Noel Holmes without bolstering the healthcare at those facilities, so the additional volume of patients will put pressure on these smaller hospitals. The CRH is a Type A Hospital and Falmouth is a type C, so it is not equipped or have the capacity to deliver the same type of care as would the main facility,” explained Dr. Campbell. He cited the death of six neonates (neonate – newborn child) from bacterial infections at the hospital recently, indicative that the current administration has not learnt from the past, when a similar situation occurred. He said there continues to be a deafening silence from the Health Minister and the government when questioned as to when normality would return to the Cornwall Regional Hospital.